In July 2017, we completed construction of the new 1.1 million sq ft, £100 million logistics facility for Amazon. The bespoke, state of the art warehouse is 0.5 kilometres in length – the size equivalent of 14 football pitches. CEVA Logistics, one of the world’s largest supply chain management companies, opened its innovative, 215,800 sq ft multi-user warehouse at iPort in March 2017. In November 2016, global business products manufacturer Fellowes moved into a speculatively developed 145,000 sq ft unit. The property is now the company’s UK headquarters. 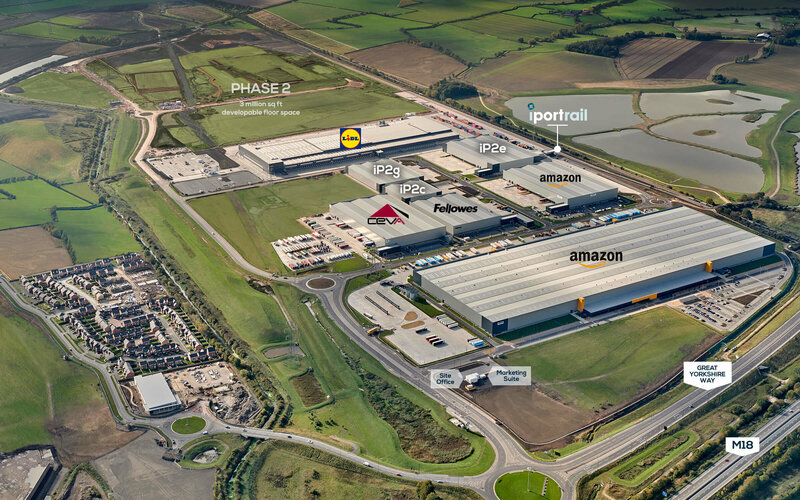 German grocery giant Lidl is currently on site at iPort building a £70m regional distribution centre. The centre is expected to create up to 500 jobs when it opens in spring 2019. A 195,000 sq ft steel portal framed warehouse unit with ancillary two-storey offices, car parking and a secure 55m deep goods yard. A 58,879 sq ft steel portal framed warehouse unit with ancillary single storey offices, car parking and a secure 55m deep goods yard. A 119,060 sq ft steel portal framed warehouse unit with ancillary single storey offices, car parking and a secure 55 metre deep goods yard. iPort Rail is the UK’s newest intermodal inland rail freight hub. Located on a 30-acre site within iPort, it is a state-of-the-art rail freight facility able to accommodate the UK’s longest trains up to six times a day. With funding agreed, planning consent secured for 6 million sq ft of logistics space and infrastructure in place, we can offer built to suit space from 50,000 to up to 1 million sq ft.
A three mile link road connecting iPort to the motorway network and Doncaster Sheffield Airport, delivered in partnership between Doncaster Council, Verdion and other private sector companies. Junction 3 of the M18 motorway is directly connected to iPort via the newly constructed Great Yorkshire Way. 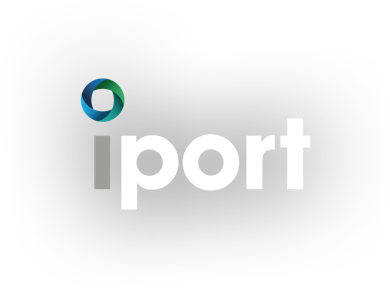 iPort’s demographic reach is second to none, with 53.4 million people within four hours’ drive-time, comprising 81% of the UK population. The four main UK container ports are also within four hours’ drive-time. Dedicated amenity space for wildlife and the local community. In August 2016 Amazon took occupation of a 215,000 sq ft speculatively developed state-of-the-art warehouse. Speed to market is our top priority. Funding is agreed and the infrastructure is already in place for 6 million sq ft of logistics space operating 24/7 with up to 30 m headroom. We have great multimodal connectivity and strong demographics.